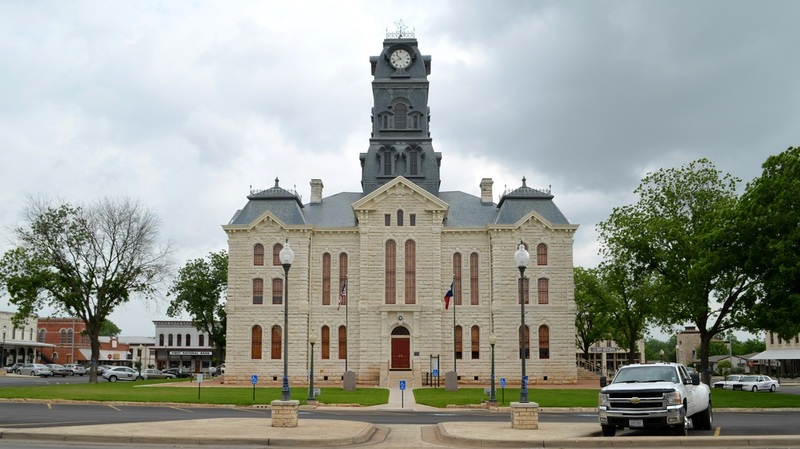 The interior restoration of the Hood county Courthouse was a particular challenge due to the deflection of the structural support to the clock tower. A very complex structural repair was needed and had to be done with extreme care. 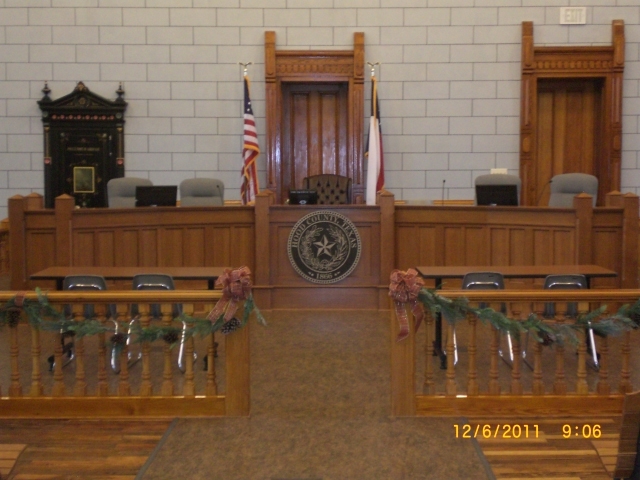 The courtroom had a very complex metal ceiling system that had to be restored and replicated in some areas due to years of water damage. 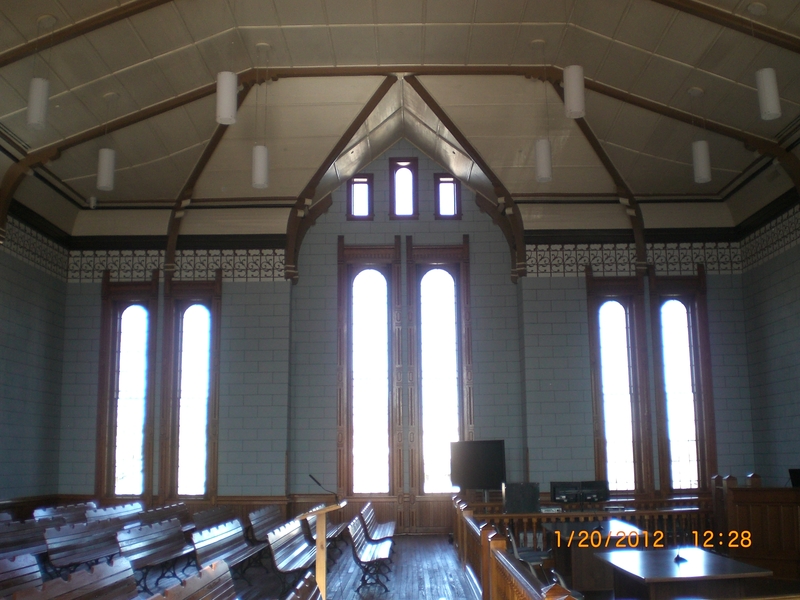 The height of the ceiling was a challenge to the operation. A large area of the first floor slab on grade was removed and replaced. 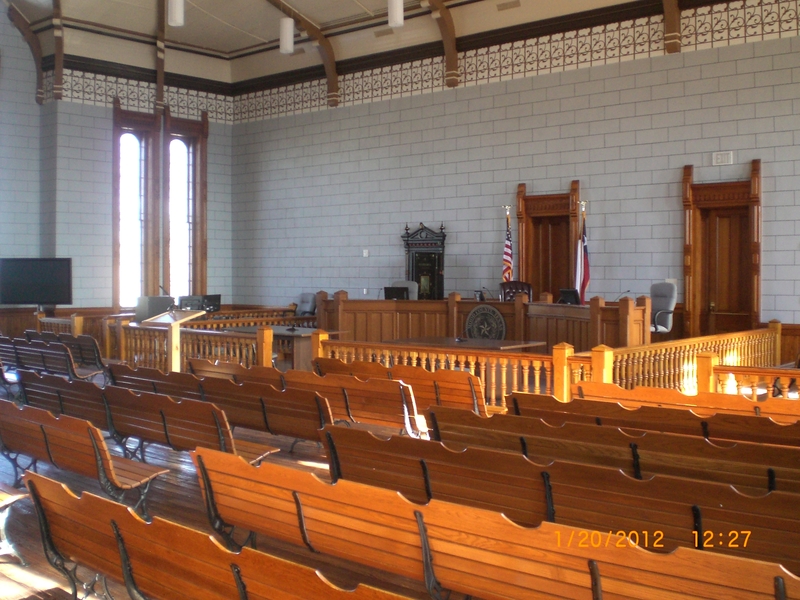 Wood floors were protected during this process and restored. 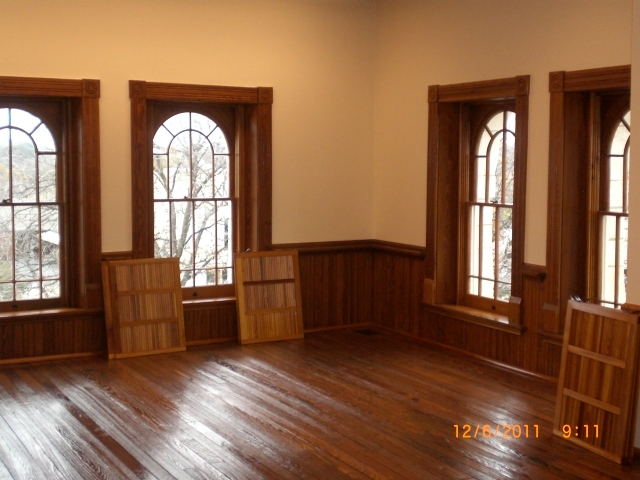 The building had a system of interior wood shutters that were restored along with the doors and transoms. Cracks in the interior limestone walls were injected prior to plaster repairs and painting. 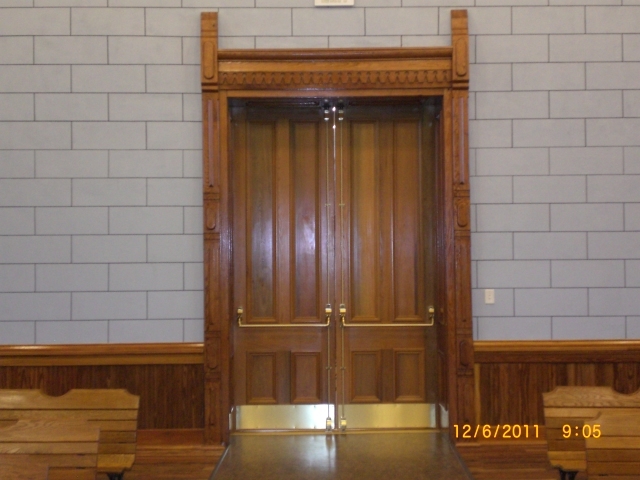 An ADA access ramp was added and automatic openers installed for the doors. ADA up-grades to the restrooms were also completed.